Ever wish you could drink a cup of magic potion to alleviate a headache or soothe your frazzled nerves after a long and exhausting day? Herb teas, called tisanes, may be as near a potion as you’ll ever find—offering relief and healing. In simpler times, many folks relied on blending a variety of herbs, fruits and spices to create a tea that has marvelous healing properties. These “elixir” teas were the foundation of holistic, natural remedies for coughs, colds, fever, indigestion and a myriad of other ailments. 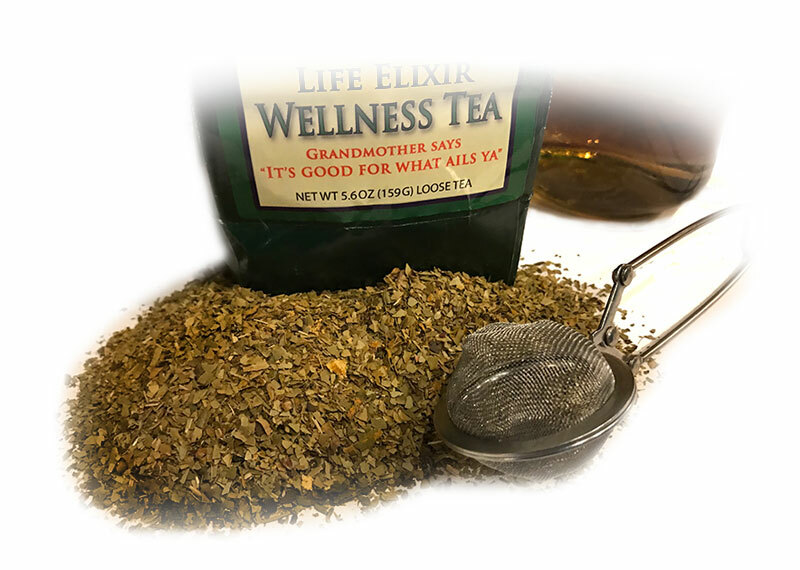 Introduce yourself to Hieronymus Life Elixir Wellness Tea. Only one-quarter tablespoon makes a satisfying cup of tea. Served hot or cold over ice, this remarkable tea can aid in the betterment of a number of health issues and restore a sense of calm, focus and well-being.